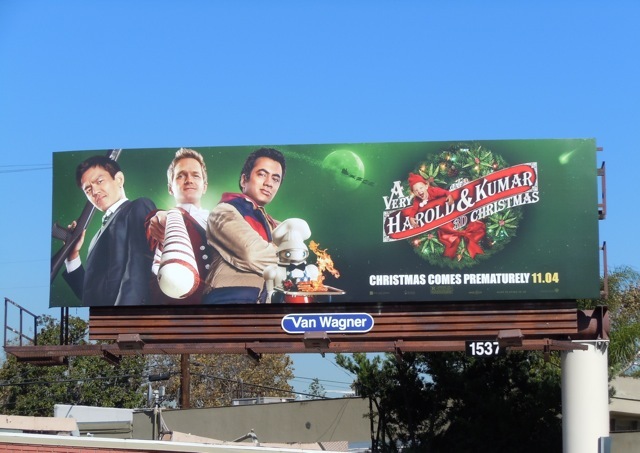 What better way to kick off November than with a very festive billboard. 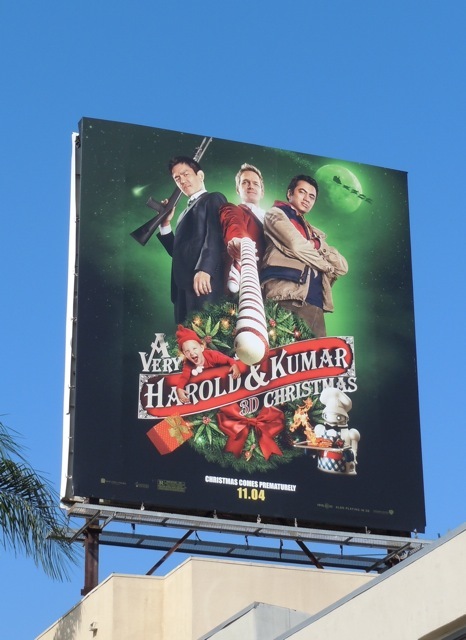 Christmas comes prematurely this season courtesy of Harold and Kumar with their new 3D movie. 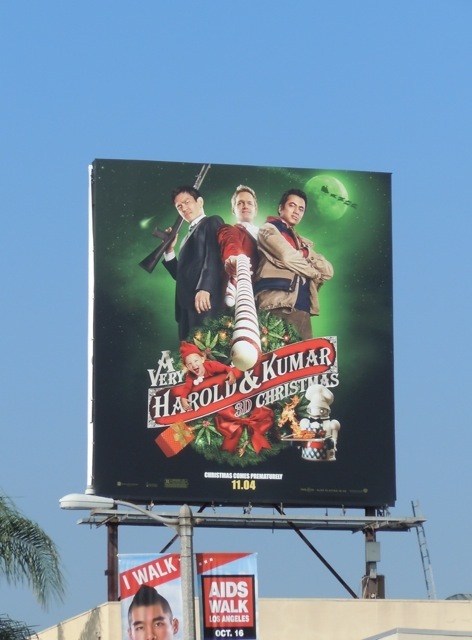 Also along for a jolly ride with the stoner friends is Neil Patrick Harris, who certainly seems to be enjoying brandishing his candy cane. 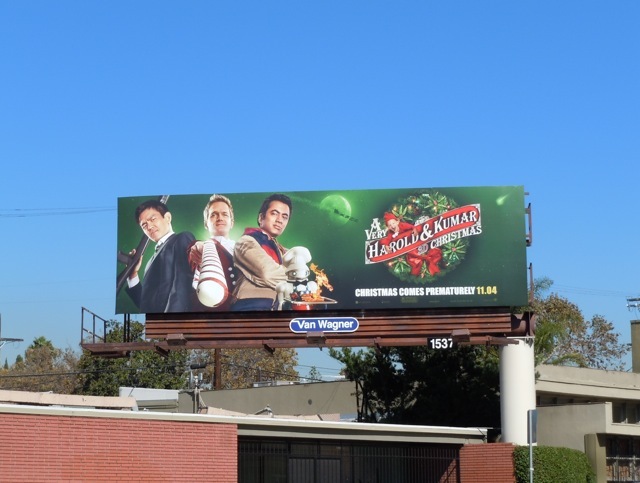 The standard format of this comedic billboard was snapped along Melrose Avenue on October 13, and the squarer version was photographed along Beverly Boulevard on October 16, 2011.